NEW WAVE MARINE is one of the South West’s fastest growing family firms and been shortlisted – at the Great British Entrepreneur Awards in Cardiff next month. The Plymouth based company has been shortlisted in the Small Business Entrepreneur of the Year Award. 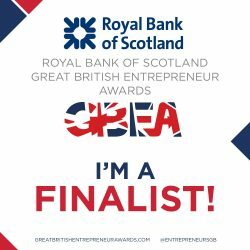 Now in its sixth year, the NatWest Great British Entrepreneur Awards acknowledges the hard work and inspiring stories of British entrepreneurs and businesses across the country. The Awards celebrate some of Britain’s outstanding entrepreneurs. With continued support from NatWest, the 2018 programme will see the awards held in five cities – Cardiff, Birmingham, Edinburgh, London and Manchester. “We have an amazing team and thanks to our media partner Dorcas Media in nominating us. Fingers crossed in Cardiff next month,” said Mr Parsons.